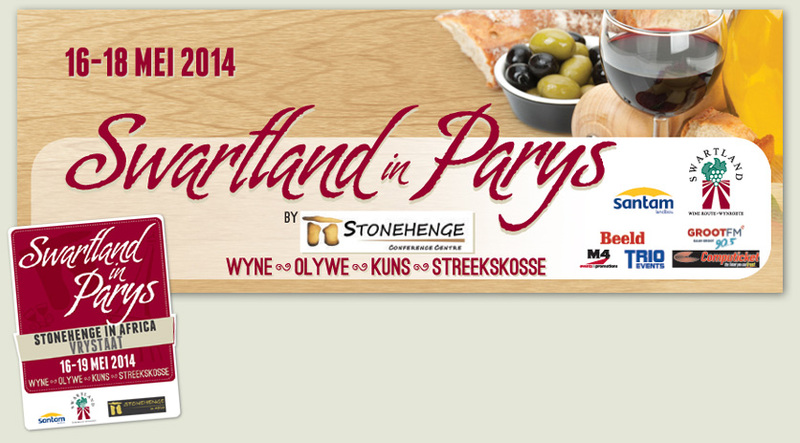 The Swartland in Parys event was held at Stonehenge Conference Centre in the Free State in May 2014. 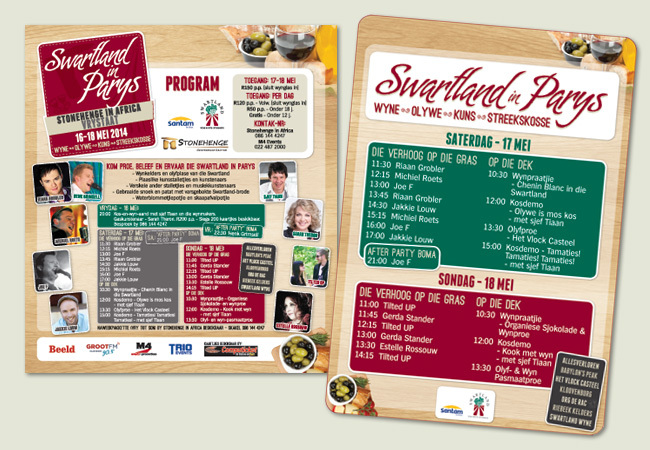 The weekend event brought the food, wine, arts & crafts and all that is good in the Swartland – to Parys, and included live entertainment, cooking demonstrations and more. Above shows the logo I created as well as the Facebook cover image used on the Facebook page promoting the event. 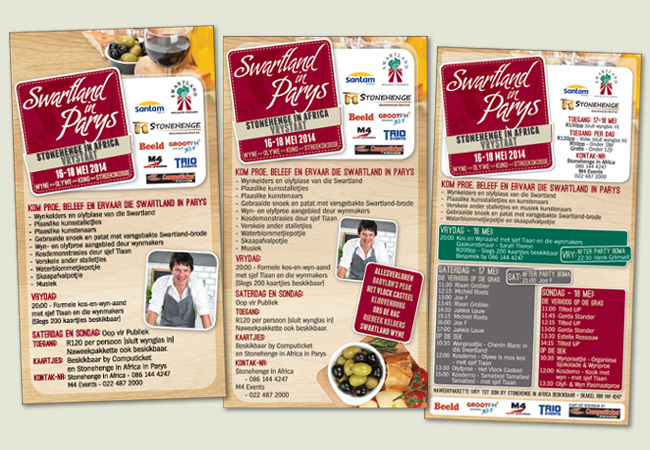 Above shows three adverts placed in the Beeld newspaper over a period of weeks before the event. 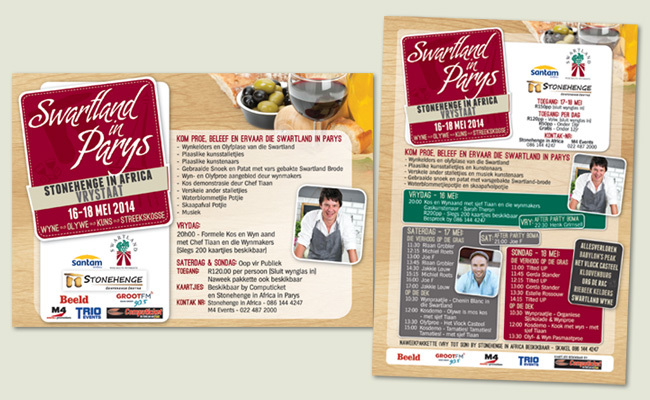 First a generic ad, then some more info and finally showing the program of events. Above shows two A5 flyers, which were printed leading up to the event. The information was also posted on Facebook during the time leading up to the big weekend. And lastly, a full page ad of the program of events (which was printed in a special outer cover of the local newspaper) and also an A3 poster, which was put up at the venue.